One young business owner closed a deal with President Donald Trump. 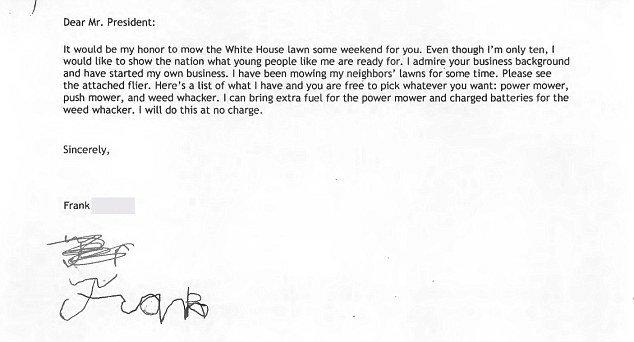 Frank Giaccio, 11, has a Falls Church, Va.-based business mowing lawns for several of his neighbors. He caught the attention of the White House this summer when he wrote a letter to ask if he could add 1600 Pennsylvania Ave. to his list of customers. 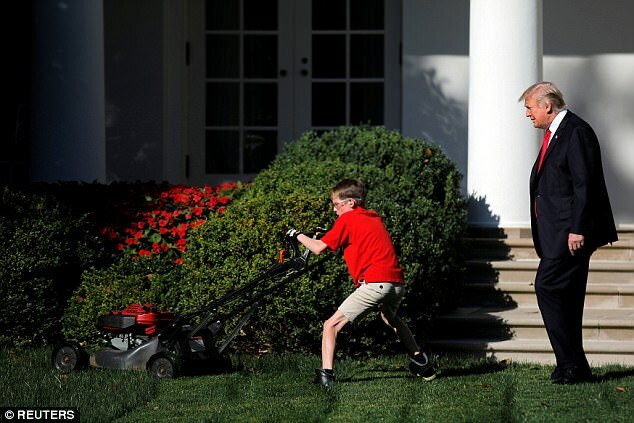 White House press secretary Sarah Huckabee Sanders said in August that President Donald Trump would be open to a deal, according to NPR, saying to Frank in a press briefing that President Trump would "love to give you the opportunity to cut the grass in the Rose Garden." Friday, Frank got his shot. 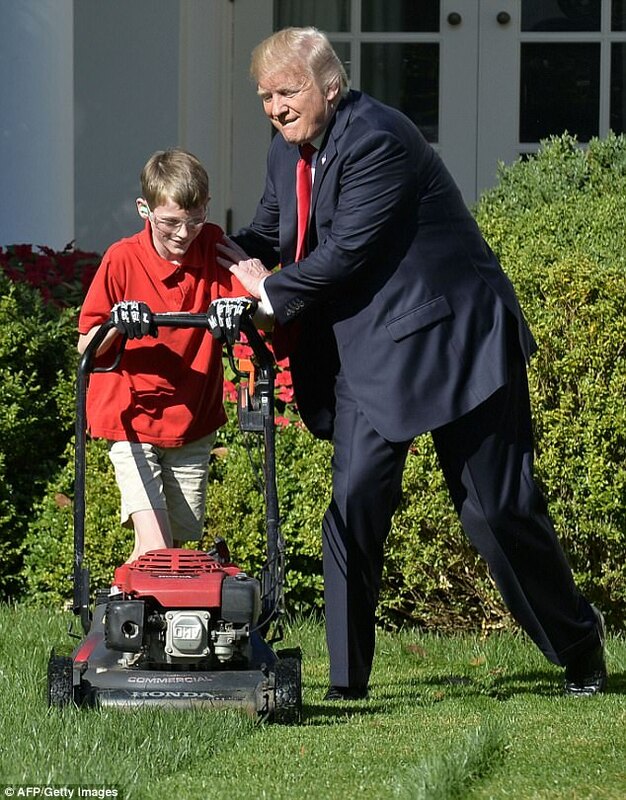 A diligent businessman, NBC News reports that "Frank was so focused on pushing the lawn mower, he didn't notice Trump had emerged to greet him until the president was next to him in the Rose Garden." 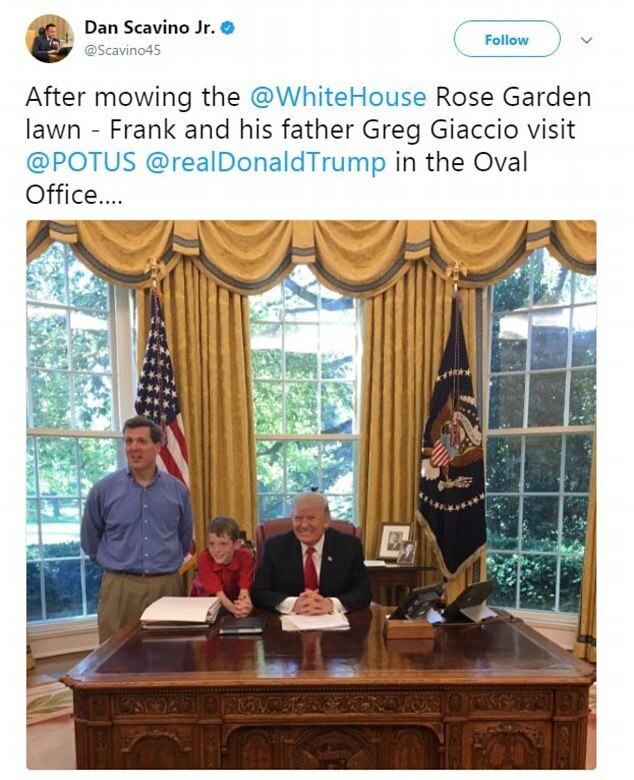 Although Frank originally wanted to charge the president his "regular price" of $8, Frank's father, Gregory Giaccio, suggested he do it for free, according to ABC News. 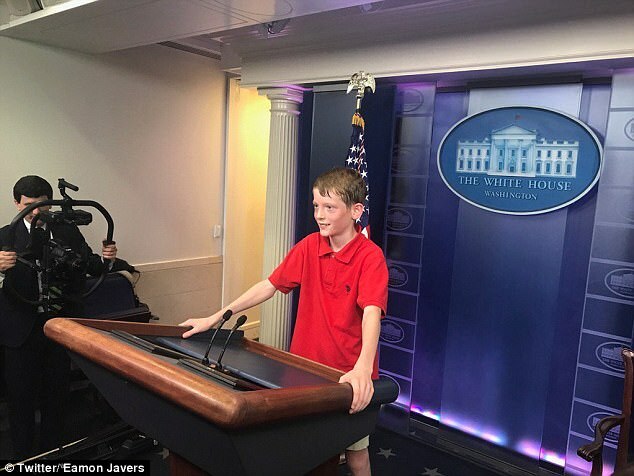 In August, President Trump also wished Frank a happy birthday, since the young entrepreneur has turned 11 since sending his pitch to the White House. 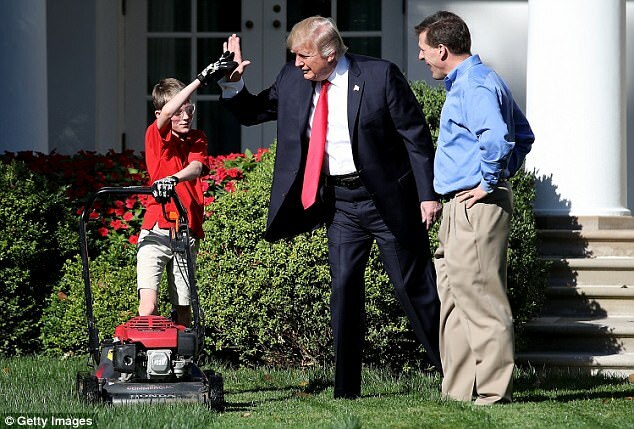 Gregory Giaccio tells Fox 5 in Washington, D.C. that the letter came about when his son asked, "Do you think I could mow [President Trump's] lawn?" Giaccio told his son, who is going into sixth grade, that he should ask the President and helped him type the letter. Giaccio adds that his son, "wants to be a knight. 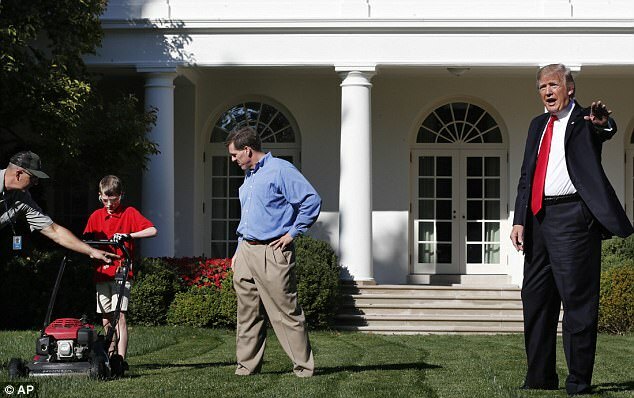 I hope landscaping is something he can fall back into if he doesn't make it into knight school," he jokes on Fox 5. According to Sanders, Frank "embodies the enterprising and ambitious spirit of America." The reading of Frank's note was part of an initiative by Sanders to start briefings with letters or emails sent to the White House "to remind us a little bit more often about some of the forgotten men, women and children that we're here to serve," she says.